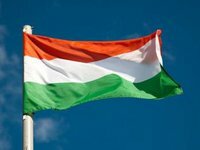 The Hungarian parliament has unanimously adopted a resolution condemning Ukraine's law on education, pointing out violations of the rights of Hungarians living in Zakarpattia region. The resolution urges Ukraine to respect the fundamental European values – democracy and the rule of law, as well as to prevent this law from entering into force, Yevropeiska Pravda (European Truth) news portal said referring to the Hungarian publication Magyar Nemzet. The lawmakers noted that the Ukrainian law on education seriously violates the right of Hungarians living in Zakarpattia region to education in their native language and also contradicts a number of international documents, in particular the Copenhagen Document and the Paris Charter of the OSCE, the European Charter for Regional or Minority Languages, the Treaty on the Principles of Good Neighborliness and Cooperation etc. The resolution states that this law also violates the Constitution of Ukraine, according to which the adoption of new laws or amendment of existing laws should not restrict the existing rights. In addition, the Fundamental Law of Ukraine prohibits ethnic and linguistic discrimination, Hungarian lawmakers said. In addition, the Hungarian parliament called on the international community to condemn the law. The deputies appealed to the government of Hungary with a request to take all necessary measures to prevent the law from entering into force, and to regularly inform the parliamentary committees on this matter.